Medellin Apartments and Apartment Rooms for rent are mostly located in Medellin's El Poblado neighborhood. 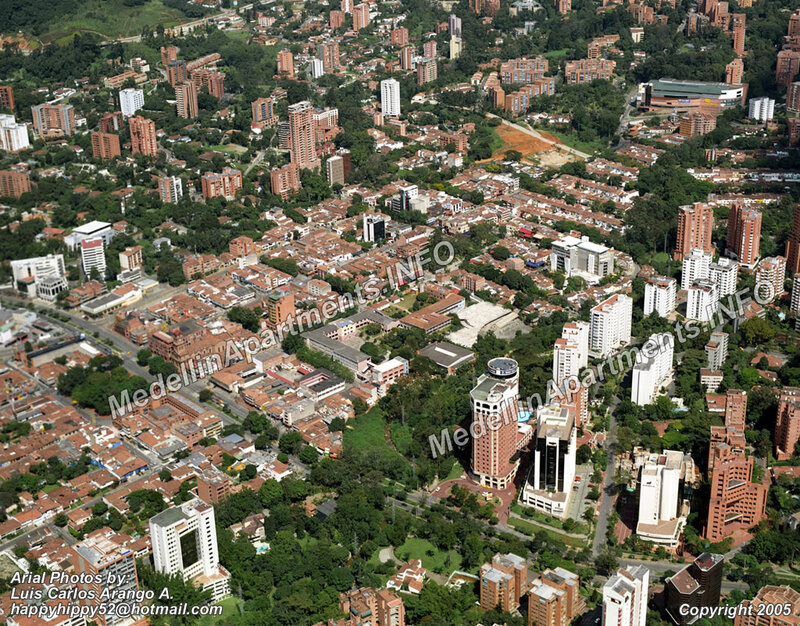 El Poblado and especially the Zona Rosa district are lcoated in the nicest and most secure part of Medellin. 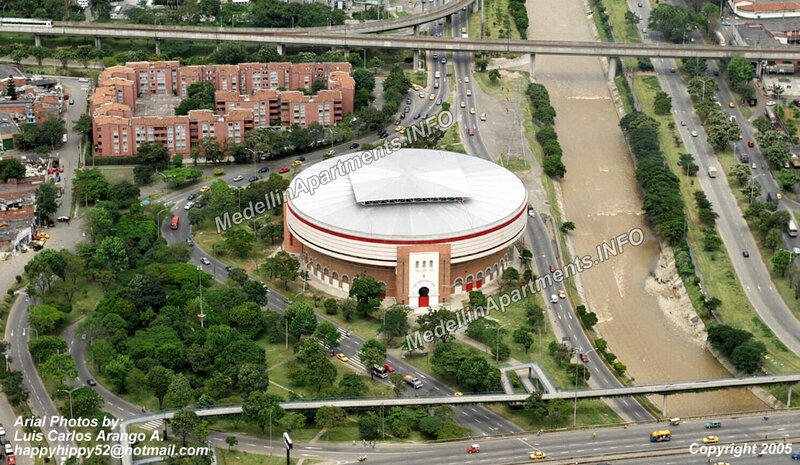 Medellin apartments offer luxury, comfort, privacy and savings you will not find in a hotel. Please visit our new new website located at www.ParadiseRealtyMedellin.com. Here you will find a complete list of our vacation and executive apartment rentals in Medellin and Santa Marta Colombia. Our Bed & Breakfast is conveniently located near Parque Lleras in the Zona Rosa section of El Poblado. Parque Lleras is where you will find the great majority of Medellin night clubs and restaurants. This section of town is very secure and safe for foreigners. The Medellin B & B apartment is an older 2 story penthouse, which means its very spacious, and has great views. Medellin is perhaps best known for its friendly and beautiful people. Down town Medellin is packed with small shops, and you can really find great deals. Please don't be timid, because you will miss out on the hidden wonders of the small towns outside Medellin. Either on bus or via taxi you can tour nearby small towns or "pueblos".The Pueblos make for great romantic get aways. However, for the single crowd / night owls, the city is alive with many types of traditional night clubs playing live latin music. You will find plenty of clubs that play a mix of traditional latin music, followed by pop, rap, and yes even techno - electronica music from the states. Cable Car, Metro, Zoo, Museums, Churches, Theaters, bull fights, Soccer Stadium, fashion shows, El Pueblito Paisa, and latin dance clubs Medellin has plenty to offer. Latin Dance are the best ways you can emerse your self in the latin culture. We can refer you to personal instructors or Dance Acadamies. Some popular Colombian dance styles include; Villanato, Salsa, Tango, Merengue, Puro, and Cumbia. Intense Spanish courses in Medellin are offered to Foreigners at 2 local Univesities in Medellin. EAFIT located in El Poblado, and UPB which is located in Laureles both have excellent Spanih programs. Taxi rides are much cheaper than more developed countries. Taxis are used by many to tour pueblos as they are very cheap here. Where the typical ride to the supermarket costs about 3,5000 pesos, (about 2US dollars). A ride across town in the US would cost about 30 bucks and here it will run you around 6 bucks on the extreme. Drivers that speak English are available. Metro is the name people use to refer to the local subway / metro rail. This is one of Colombia's pride and joys. Amazingly clean and secure. 1,200 pesos each way. This is the preferred way to travel if you can find a station near your origin and destination points. It's a great way to see the city! Click here for a map of the Medellin Metro Stations.The metro runs on electricity and is one of the reasons Medellin has cleaner air than the other larger cities. 2 extentions of the Metro system are made up of Metro Cable cars. Buses are the most relied upon transportation for many who travel in and out of the city. Many foreigners are using the buses to explore the nearby pueblos, and travel from city to city. If you are leaving the city you will need to know which of the 2 Medellin bus terminals you need to depart from. Just remember that shortt distances on a Colombian Highway take much longer than in the USA. The highways are very secure today, although it's best not to travel at night time. Medellin Tours - The Secret is OUT!. Since 2005 & recent changes in security policies the Colombian Government has created a much more secure country. Medellin has experienced one of the biggest tranformations in the country in the last 15 years. Tour Medellin Pueblos! Climate - CIty of Permanent Spring & Flowers. Medellin official nick name is the "Ciudad de la Eterna Primavera", or the City of Eternal spring in English. The first week of August Medellin hosts 'La Feria de las Flores", (the flower festival). In 2008 the Flower Festival Events will run from 1st - 10th of August. See the Calendar of the Medellin Flower Festival 2008.
Business - Capitol of Colombian Fashion. World wide Medellin is known for its famous fashion designers, and models. July 29 through July 31 Medellin hosts 'Colombia Moda', (Colombia Fasion). Check out Ecko Manufacturing "Hot Girls Make Great Clothes" filmed in a Medellin Textiles Clothing Factory. Positive news has been pooring out of Medellin in the recent years, and to no surprise Medellin Tours are on the rise. There have been hundreds of great articles written on Medellin Colombia in the last couple years. The world is quickly re-discovering Medellin. Colombia is proud of it's new Medellin and shows this city off as an example of a Colombia reborn. Medellin apartment rentals are the best way to check out a the new Medellin and see if its right for you! Spirit Airlines is offering great discounts out of South Florida to Cartegena and Bogota, and when connecting to Medellin is cheap. Flying American and connecting to Avianca for the final leg is also another option that may work for you.